You might ask: what is birthdayshoes.com? 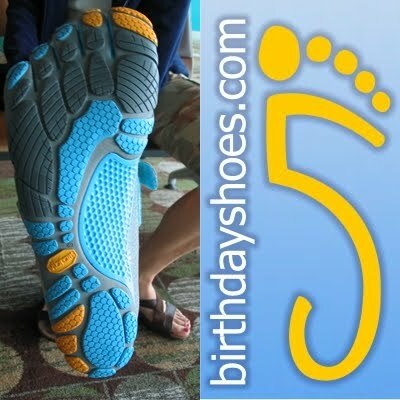 Birthdayshoes is the unofficial fan site for Vibram Five Fingers. 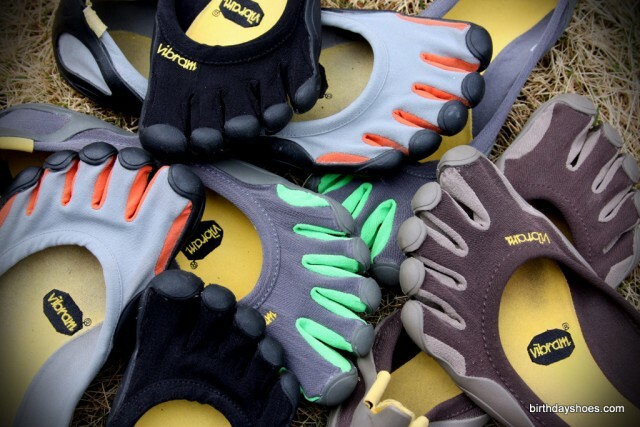 Next question you might ask: What is Vibram Five Fingers? Remember going barefoot as a child? It’s the way you first discovered and conquered your world—without the constraint of shoes. Or the sense of duty you acquired later on. Now you can experience that same physical and visceral sensation in Vibram FiveFingers—the only footwear to offer the exhilarating joy of going barefoot with the protection and sure-footed grip of a Vibram® sole. FiveFingers footwear connects you to the earth and your surroundings in a way that is simply not possible in conventional shoes. It puts you in touch with the earth beneath your feet and liberates you to move in a more natural, healthy way. FiveFingers stimulate the muscles in your feet and lower legs to build strength and improve range of motion. Our customers report an increased sense of balance, greater agility, and visibly improved posture. Choose from a variety of designs to cover the wide range of activities you would rather do barefoot—everything from fitness training and yoga, to running and trekking, to kayaking and sailing. Discover a level of performance and a connection to your environment that is positively without peer.